SMARInsights designed and conducted quantitative and qualitative research to estimate the impact of film and television productions on South Carolina leisure travel. Specifically, the research was intended to estimate the impact of a sample of TV shows/movies that were filmed and/or set in South Carolina. Self-reported production influence. Respondents were asked if a film or TV show had led them to select a vacation destination. If they indicated that they had been influenced, they were asked which production and which destination. Motivation identification. Those who had visited South Carolina in the past ten years were shown a list of potential travel motivators, including a place they had seen on TV or in movies. Derived production influence. This “experiment” approach compared the level of South Carolina travel between a control case (unaware of productions) and a test case (aware of productions). Several measures were taken in this approach to ensure a logical and conservative estimation of influence. 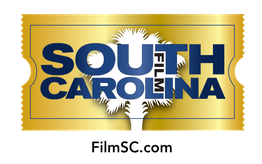 The research project was able to show that TV and film productions do influence leisure travel and, more specifically, was able to estimate the volume of visits and travel revenue generated for South Carolina as a result of the Film Commission's activities. Further, the research identified the kind of productions most likely to influence travel and the production attributes most likely to exert major influences on travel.